I know you’re always hearing me say there are LOTS of recipes you can make with your 1 bag of Amish Friendship Bread starter, but this recipe always comes as a surprise to me. Our Amish Friendship Bread biscotti recipe is an unexpected hit — the extra sugar in the starter adds just enough sweetness to this otherwise flavorful sourdough crunch. We love that it’s so versatile — it’s so easy to add nuts and dried fruit, and it keeps forever (well, up to two weeks on a sealed container in the fridge but even longer in the freezer). You can ice or glaze it as well. This makes an easy treat or gift and each recipe yields 24 biscotti so there’s always plenty to go around. Kitchen Friend Diane Siniscalchi used creative add-ins in her biscotti: These were very easy to make. I made a variation: Apricot Pecan AFB Biscotti. I substituted butter flavoring for vanilla, substituted 1 cup of pecans for walnuts or almonds, and added ¾ cup dried apricots, chopped. The biscotti cut very nicely, and tasted very good. Next time I might use a full cup of apricots and drizzle the biscotti with melted butterscotch. In medium bowl, cream together starter, sugar and butter. Stir in vanilla extract and egg. In another bowl combine flour, baking powder and salt. Stir into creamed mixture. Fold in nuts. Slice logs crosswise into ½ -inch wide slices. Place slices cut side down on baking sheet. I bet they’d be fantastic half-dipped in chocolate. I love biscotti with my morning cup of tea. Sams no longer carries the plain biscotti that I like so well. I’m certainly going to make this. Thanks so much for the recipe. had my leftover starter in a bowl on the counter covered with plastic. It was doing well with some bubbles …I stirred once a day and then fed once. It has done nothing at all for days now. I want to use to bake but it does not seem active. whats a girl too do? The biscotti is such a hit with my friends and family. Try adding 1/4 cup of cocoa powder and choice of nuts for chocolate biscotti, and substitute lemon extract for vanilla and add almonds for lemon biscotti. It is a can’t miss. Sure, Linda! Thanks for letting us know! I had a lot of starter sitting around so I made a few variations. Tried these with espresso powder, cappuccino chips and butter brickle bits, drizzled with melties with added espresso powder. They smell SO good. Great tip, Rhea! Thank you so much for sharing! 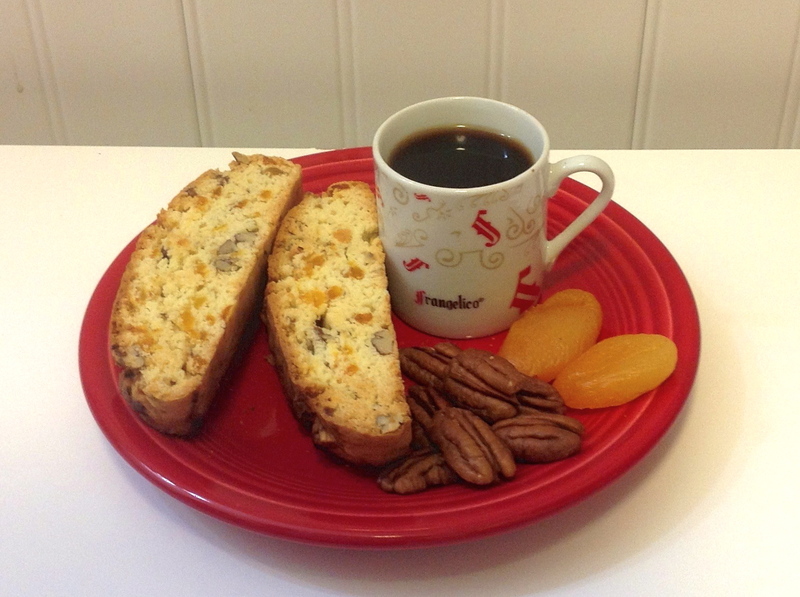 Oh my goodness, I LOVE biscotti, and this sounds so wonderful! I have starter ready to go, so this will be my dessert tonight, thank you! Doing my happy dance now. I can’t wait for this to be ready to eat , love biscotti. I just pulled a batch of these out of the oven – delicious! I added 1 cup of mini chocolate chips, substituted pecans rather than walnuts, then drizzled with white and dark chocolate. I made these last Christmas for my sister and husband. I dipped the biscotti in chocolate for an extra added touch. These turned out great! I am going to make them again this year. I would love to make these for my sister, we love to sit down with our biscottis and coffee to talk and catch up on events in our lives! 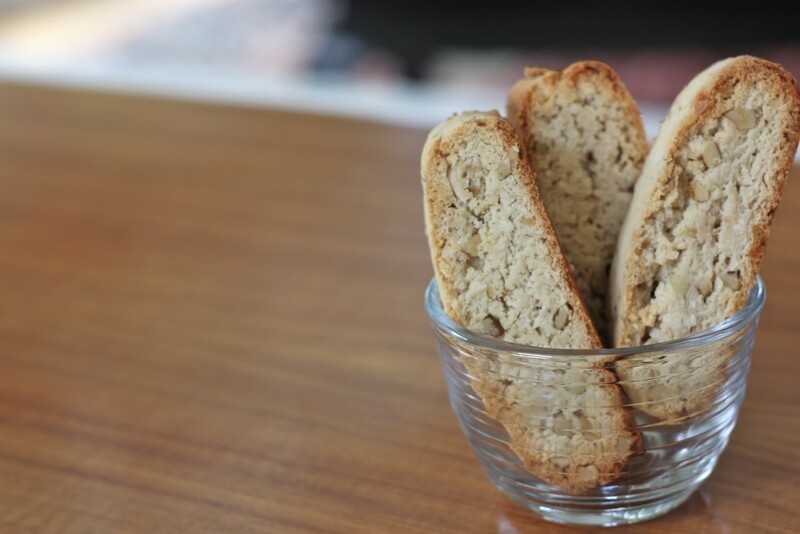 I would make these Biscottis for my daughter and I also..
What kind of flour do I use in making biscotti, plain or self-rising, if plain do I add baking powder??? Hi Edith, we use all-purpose flour unless otherwise indicated. The recipe will tell you if you need baking powder or not, but this one does use one teaspoon of baking powder. Hope this helps! Let me know if you have any other questions. OMG these are good! 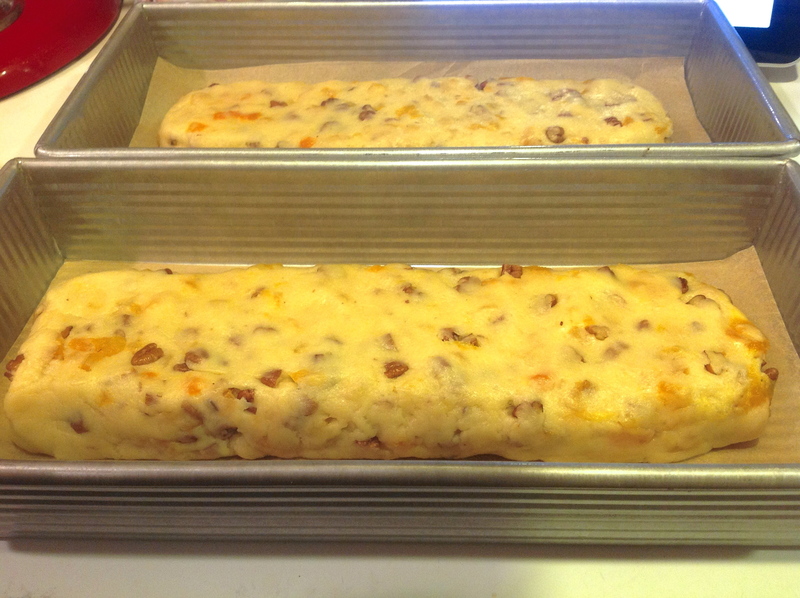 I used dried cranberries, orange extract and orange zest and almond slivers…YUMx10 ! This website is going on the top of my favorites list! That sounds amazing! If you ever want to snap a pick of your wonderful Amish Friendship Bread creations, you can send it to us here. Happy baking!